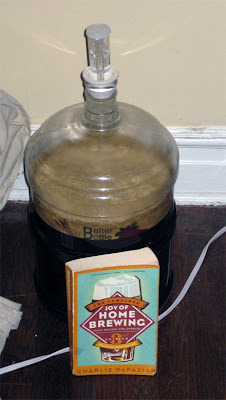 I am kicking off my series of Thursday book reviews by taking a fresh look at the iconic homebrewing classic, The Complete Joy of Home Brewing by Charlie Papazian, in this case it is the 3rd addition from 2003. This book has been the bible for American homebrewers since it was first released the year I was born. It is still probably the book that most homebrewers start out with, and after reading so many other brewing books I wanted to see if it still deserves this status. This book grew out of one of the original homebrewing pamphlets from the 1970s (written even before the legalization of the hobby). As his pamphlet grew Charlie incorporated more and more information into it creating a book which contained information about just about every aspect of how to make beer at home. 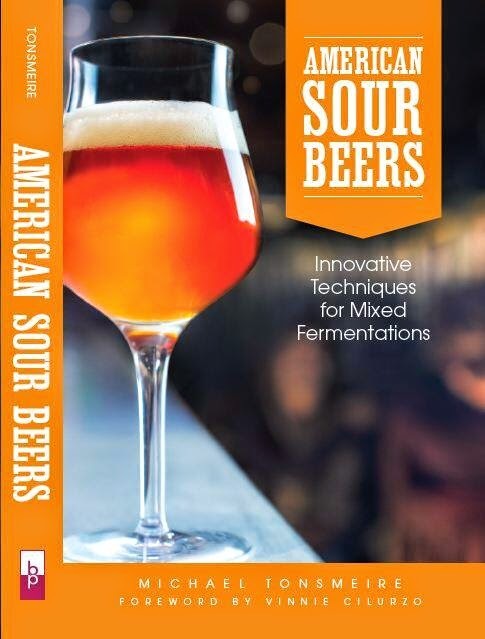 Content: The book is a survey of many of the topics that homebrewers are interested in, from how to make your first extract batch, to mashing, growing hops, water treatment, kegging, beer styles, and beer appreciation. All of these sections serve as good introductions, but few do more than scratch the surface (for example I think the odds of someone actually getting a good crop of hops with just 3.5 pages of information is pretty low). It is a wonderfully inspiring book when you are starting out in the hobby. Just a few pages in you get the feeling that not only will your first batch be delicious, but you'll have a good time making it. However, this results in the instructions being less about brewing great beer and more about brewing decent beer as simply as possible. Overall the book tends to steer clear of explanations, preferring a folksy pragmatism which I personally don't care for. Accuracy: Some of the information is a bit dated. For example Charlie suggests adding gypsum to many of the recipes (8 tsp in his Toad Spit Stout). With the wide variety of brewing water out there a standard water salt addition for a recipe is generally not a great idea. I don't think he talks enough about the things that made the biggest improvements in my beer, proper yeast handling, fermentation temperatures, and fresh high quality ingredients. He suggests pitching and fermenting all of the ales above 70. In theory this might not make a terrible beer, but he does not emphasize the difference between ambient temperature and internal temperature, so someone with a room at 72 could end up with a beer high in fusels. Recipes: I haven't brewed any of the recipes in the book verbatim (though several of my early recipes were influenced by recipes in the book), but in general they seem to be a bit haphazard. The extract recipes often build on a specific extract (for example Brewferm Trappist-style Belgian Beer kit (hopped) extract). Most homebrew authors these days suggest starting with light malt extract as the base and building the color and flavor with specialty malts. This method allows for greater control over the beer and the level of fermentability. I also think his mash schedules need quite a bit of work. For someone who tries to simplify the hobby it is odd that he often suggests protein rests and 2 sacch rests (even when calling for highly modified English malt). Readability: The book is a pretty quick read because it is light on technical jargon and the writing is clear. However, it is difficult to quickly reference because it doesn't use any "modern" features like text boxes, graphic design, or well produced charts/graphs/tables. It can also feel disjointed, as if the parts were stuck together rather than being crafted as a whole. I particularly dislike the way the recipes are written, with an entire narrative instruction given for each recipe. It makes it very difficult to quickly pull out key details like mash temperatures, and it makes it time consuming to grasp all of the details of the recipe. Overall: The huge variety of topics and big enthusiasm make this a decent read if you are just considering getting into the hobby. That said, I think it tries to do too many things because it was conceived before you could buy whole books on basic technique, recipe design, hop gardening, interesting brewing ideas, or brewing beers to style. It just isn't written for the brewer who is interested in brewing the best beer possible. I think the fact that I read it cover to cover twice when I first started out, but haven't picked it back up in three years tells you all you need to know about how useful this book is. Thank you! I brewed my first batch last week and turned to this book when I got in trouble. My brew shop sold it with their beginners kit so I figured it was a good resource. It wasn't. I ended up more confused than when I started. Sadly the advice the book gave to address my problem was just wrong and I ended up with a bad batch. Sorry to hear that. I'd suggest picking up a copy of How to Brew by John Palmer. An older version of the book is available online for free at www.howtobrew.com, if you need to look anything up before you get a chance you buy a copy. I generally agree with your review. It caused a LOT of confusion with me to go all grain, but I try to be forgiving of the book because it was written before the invention of the beer spreadsheet. I found HOW TO BREW much better - and I also really like DESIGNING GREAT BEERS, although merely as a reference to style rather than a sit-and-read-it book. Radical Brewing is looking like the better one, but I haven't read it yet. You can buy the three pack on Amazon.com at the moment for a good discount. this is the page, scroll down to "frequently bought together" for $43.61. Agreed, those are three of my favorite general brewing books (and probably the next three reviews). I can only cut Complete Joy so much slack though because it was updated in 2003 (years after the first edition of How to Brew). Totaly agree with you. I bought and read How to Brew first then received Complete Joy with my kit and about the only thing it's useful for is propping up a carboy while siphoning or as a door stop. I can respect Charlie as the godfather of homebrewing but his book is nothing more than a historical reference now. I hadn't looked at this in a few years so I took it with me to read while traveling over Christmas. Your review is spot on. If anything, Charlie needed a really educated editor to help arrange and format the information. Some processes are described multiple times in the book and not always in the same way! I'm sure Charlie's aesthetic and signature tagline will have a far more lasting stamp on homebrewing than his technique. Good review of the book, it was the first beer book I read, and I did brew the Toad Spit stout with the 8 tablespoons of gypsum, it turned out fantastic but now when I go back to the book and read over the recipes and techniques it is dated and I agree with the comments that there are better books out there but in a lot of homebrew shops this is still the standard, at the end of the day for beginners its an approachable book for basic recipes. If you are going all grain there are better options. Enough of my rambling, good review! I thought your review was a little harsh. I still use it as a reference just not my only reference. You're right that it needs revision, especially in regards to fermentation temp. and the constant step mashing. However I've never had a problem with the layout or had trouble finding the information that I needed. I like both Papazian's and Palmer's books and have used both and others from even before I actually brewed and have found them both useful. Opinions about layout are just that, opinions. If the way it is setup works for you, then that is all that counts. Part of my problem with it may just be that I hadn't picked up the book in so long that I have lost my "feel" for where different pieces of information are listed. Looking forward to your review of "Radical Brewing." It's my next read after I finish "Farmhouse Ales" and I'm extremely excited about it. That Chantrelle Pale Ale recipe keeps taunting me every time I flip through it. I had nagging doubts about this book in the back of my head, but -- besides not looking at it after my first batch with the exception of my mead -- never really thought about them, sort of as though I were afraid to even think bad thoughts about the Holy Book of Homebrewing. I read How to Brew online before going into All Grain and it helped immensely, and (in that form) was free! Great writeup. Book Reviews will be a welcome addition to your already awesome site -- what other books can we look forward to reading your opinions on? This book was a great tool early on, and served as great inspiration for my future endeavors in homebrewing, It made me feel comfortable, and was a great entry level guide. Great review Mike. Right before I started homebrewing, I remember the excitement and elation (and nervousness) I had while reading this book pretty much cover to cover. Charlie gets the details wrong a lot of the time but he totally nails the spirit of encouragement that new brewers need to feel. This book has all the enthusiasm and humor that is missing from How To Brew, which is by far the better brewing compendium. If Charlie could edit that book with John, boy oh boy we might have the best of both worlds. Mike, I don't think your review is harsh, just fair in pointing out some of the weirdnesses of this book. Charlie is a free spirit and in the end, you end up with the pros and cons of that brewing style right here in this book. What could better embody the soul of homebrewing than a little wackyness and eccentricity? Hi! Would you recommend me this book if i already have Palmer's How to brew? I want to make myself a surprise but i don't know what book would be the best second book.